I am a Merchandise Buyer for Sierra Trading Post and I love my job. 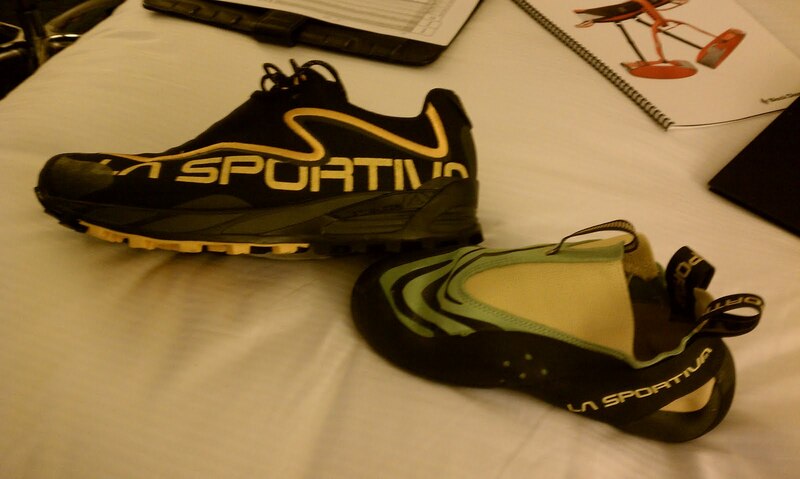 I get to work with great companies including La Sportiva, Asolo, Black Diamond, K2, Burton and many more spanning the categories I buy. Those categories include, climbing, ski/snowboard hardgoods, camping cookware and accessories, technical footwear, skate/surf/wake/dive, and sporting goods (golf, tennis, team sports). Being responsible for all of these categories keeps me incredibly busy. 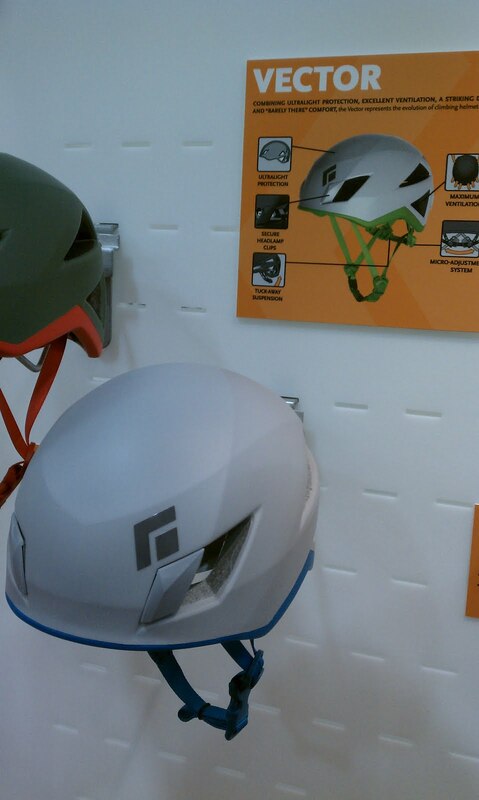 One day I am working with Callaway Golf, the next I am buying climbing gear from Edelrid...it's never a dull day. One of the great things about my position with STP is the travel I get to do. 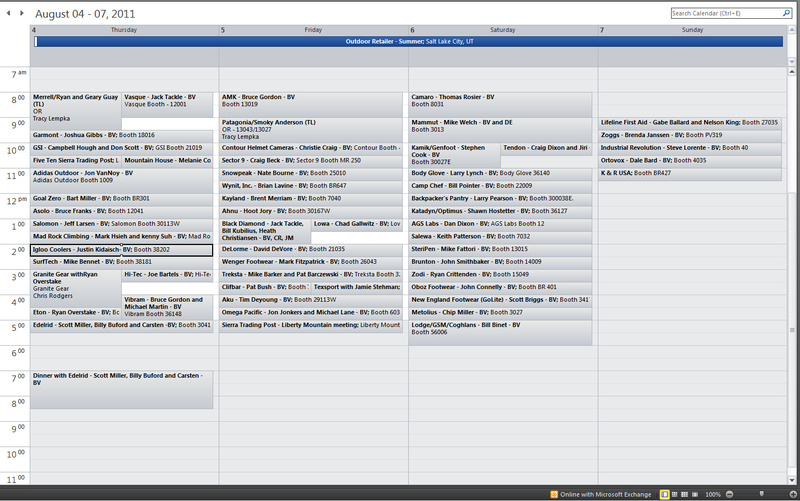 About 5-7 times a year I travel for tradeshows related to my categories. I attend Summer and Winter Outdoor Retailer Markets (Salt Lake City, UT), SIA (Denver, CO), golf shows and Surf Expo (Orlando, FL). These shows are always important for STP and the relationships we have with our vendors. We make sure that we get the best product at a discount so we can pass the savings onto our customers. STP has been doing this for 25 years and we have key partnerships with brands like Asolo, Marmot, Black Diamond, Haglofs of Sweden, Columbia Sportswear, Smith Optics, Smartwool, Vasque, Teva and so many more to ensure we have great deals on great product for our customers. August 4-7 were the dates for Outdoor Retailer Summer Market this year and I attended the show to purchase product and meet with as many vendors as possible over the 4 day show. A typical show day starts at 7:00am with breakfast in the hotel with all the buyers and managers that come with STP. All 12 or so of us sit down, have breakfast and talk about the meetings and product priorities for the day. It's kind of a rundown of what we are working on and what needs to get done. The show then starts at 9:00am everyday, but if you know your vendors well, and of course we do, you can schedule meetings for 8:00am and have them bring you into the show. It's kind of like being a VIP, but not really. Vacuums are still running and the coffee is flowing thick, but these are some of the best meetings because there aren't 1,000's of people roaming the halls quite yet. These types of meetings, as you can see from my schedule below, are usually reserved for some of our key vendors and important partnerships. After 9:00am hits the floodgates open and 1,000's of people run into the massive Salt Palace. 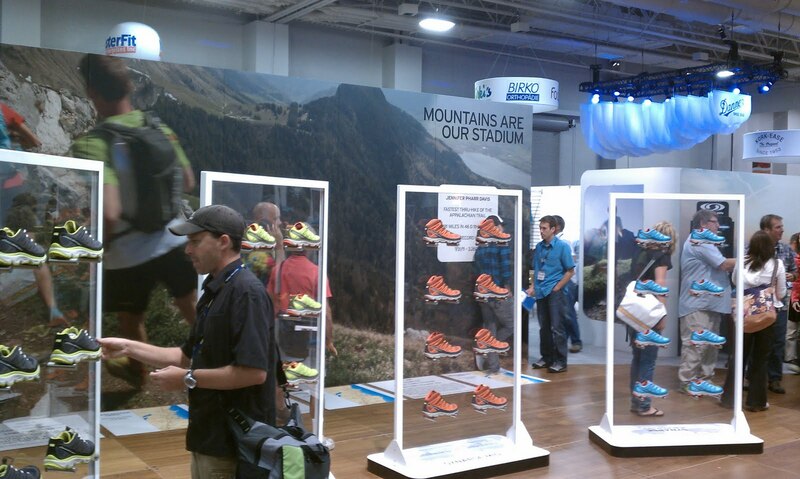 Brand employees, retailers buying for their stores, and sponsored athletes looking to promote their brand consume the hallway between massive booths, some two stories with meeting and conference rooms! I have run into Daniel Woods at La Sportiva, Dave Graham at Five Ten and many other sponsored athletes that I look up to in different outdoor endeavors. We also tend to meet with high up sales reps, national sales managers and VP's/CEO's of companies. Actually from a recent article in Ascent it listed influential people from the climbing culture. Dale Bard from Ortovox and Jack Tackle from Black Diamond are just two people I work with daily that top the list in that article, but also represent prestigious brands such as Vasque, Black Diamond and Ortovox. From 9:00am to about 6:00pm the showroom is a mess. People are running around, meeting vendors and stopping in the middle of walkways (super annoying). Everyone is wanting to get the newest stuff for their shop and check out all the sick new technologies and product. There are numerous brands that fit this category, but Black Diamond is always a great place to start for new gear and innovative product. 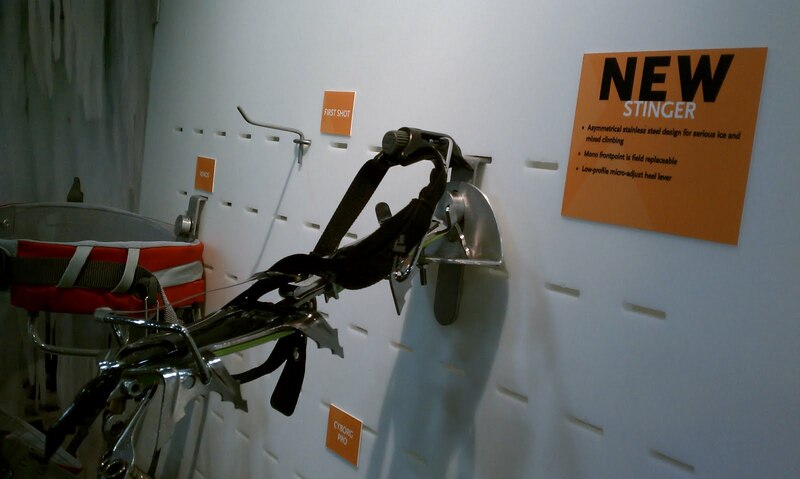 One of the best products at the show was the BD Magnetron locking carabiner. I have already talked about this new piece of gear once, but it was all speculation as I wasn't able to touch it or try out the strength of the locker. This was definitely the best new gear of the show and blew away everyone who tried it out. I talked to a couple guys we work with at BD, Heath Christensen and Bill Kubilius, about dirt and ice affecting the steel and magnet connection and they assured me they have put it through the paces of adverse conditions and use. It doesn't release until next summer, so they let me know there would plenty of time to perfect the product. Take a look at the video and see for yourself how good the action is on the carabiner. 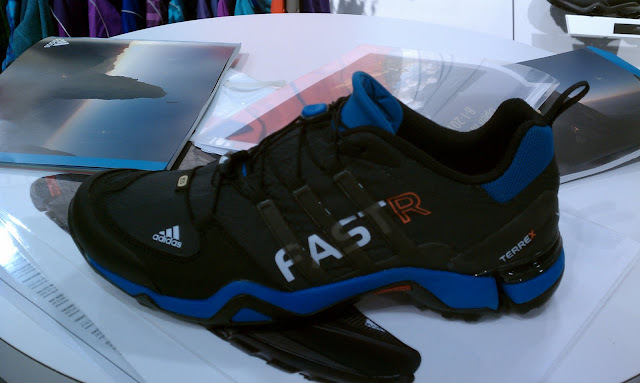 Some other brands that came to the show with great new product included Adidas Outdoor, a newcomer to the high performance outerwear and trail running category, Salomon, new colors and technology, and Mammut, great new color palette and innovative apparel. Every brand has something to offer and no one disappointed. It was great to walk the show and see all the familiar faces and talk about the brands and what they are bringing to the outdoor market. Even new vendors like Yeti Coolers, Hurley and O'Neill felt right at home with the outdoor scene. On top of that, Billabong showed up for the first time ever because of the cancellation of another show, Action Sports Retailer. They took up the entire upstairs ballroom with there brand portfolio including Sector 9 and Element skateboards, RVCA, Von Zipper, Excel Wetsuits and more. One of my categories includes these new skate and surf brands and having them in SLC for Outdoor Retailer was great. 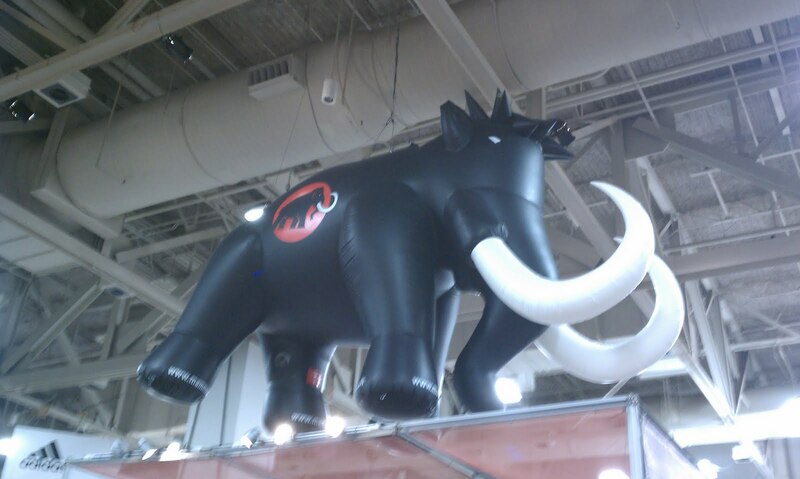 This guy shows up wherever Mammut goes! One of the best out there, the Hubba Hubba! After a long day walking the show we usually meet with a vendor for drinks and dinner. At STP we have and always will be focused on our relationships with our vendors. The partnerships we build help both STP, our customers and the brands we service. We like to remind our vendors that we are not so big we have forgotten about them, so we meet for a nice dinner to talk about business, have a few laughs, and share in a great meal. I had dinner with Edelrid the first night at a great local place called The Bayou and Saturday met Teva for dinner at Bambara. Both dinners were fantastic and the company was great. After any night life we usually retreat to our rooms for a quick 30 minutes of finishing orders or responding to emails and get ready for the next day. I met with too many vendors to name them all, but here a few things to keep your eye on in the seasons to come. Edelrid - Great German climbing company making their move on the US market. Adidas Outdoor - Great outdoor apparel and trail runners that rival Salomon and La Sportiva. Contour Helmet Cameras - Everyone knows I use a Contour HD and love it. Look out for some sick new product. 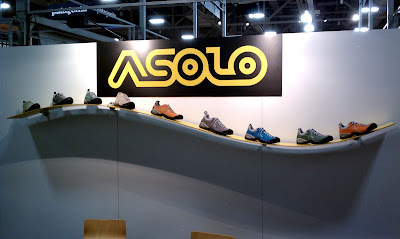 Kayland - Amazing hiking boots and approach shoes. 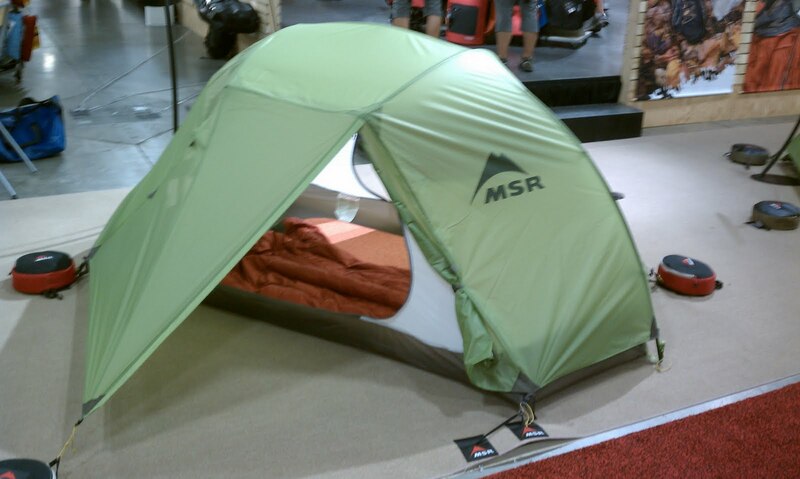 Salewa - Second best gear of the show in my book. New ice boot that flexes for the hike and locks rigid for vertical ice. What?!?! Overall tradeshows are a blast and even though they consist of long days the work we put in goes to benefit our customers and helps us get product that would otherwise get lost at some other retailer. We sell only off price product so we don't have to focus on promoting full price vs. off price. We simply offer the best product at the best price from the best brands. That's it! Pretty easy when you think about it that way. I will be attending the PGA Expo soon in Las Vegas, NV as well at the Surf Expo in Orlando, FL. Look for more tradeshow reports and more great photos. front point so you can replace it easily.